for your information and personal use; as intended through the normal functionality of the Aikido Journal Service; and for Streaming, (“Streaming” or “Stream” means a contemporaneous digital transmission of an audiovisual work via the Internet from the Aikido Journal Service to a user’s device in such a manner that the data is intended for real-time viewing and not intended to be copied, stored, permanently downloaded, or redistributed by the user). Accessing Website videos for any purpose or in any manner other than Streaming is expressly prohibited. How about some progressive concepts to compliment this classical course? A comprehensive instructional course showcasing the classical empty hand and weapons forms of aikido. 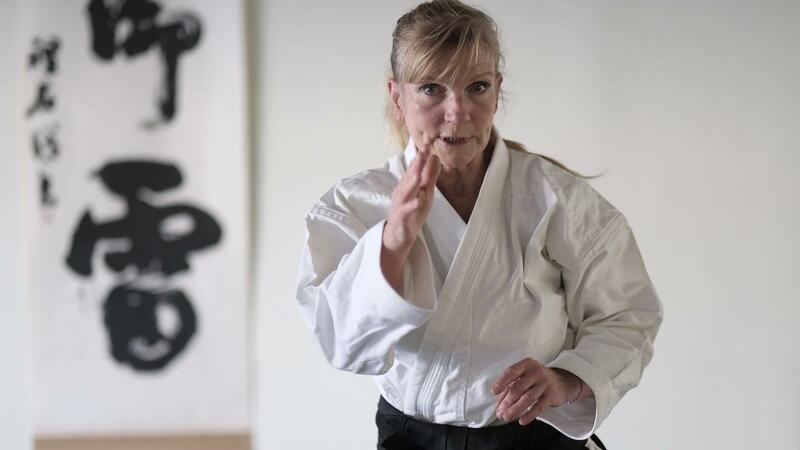 Instruction by Patricia Hendricks (7th dan), direct student of Morihiro Saito. Course video in streaming format, optimized for mobile and large screens.